Sessions are currently booking well into 2019. To ensure availability please reserve your date accordingly. Here is where I feature my session faves. If you see something you like and want to see more of, please ask! If you have a session booked with me and are drawn to something in particular, send me the blog link so I can be sure to capture exactly what you're looking for. Look at all that beautiful hair! Blissful Road Photography is a natural light photographer based in Houston, Texas servicing but not limited to Cypress, Tomball, Spring, The Woodlands and Katy who specializes in Maternity, Baby and Family Portraits. Little babe, you are such a sweetheart xoxo, sam Blissful Road Photography is a natural light photographer based in Houston, Texas servicing but not limited to Cypress, Tomball, Spring, The Woodlands and Katy who specializes in Maternity, Baby and Family Portraits. Such a beautiful family. 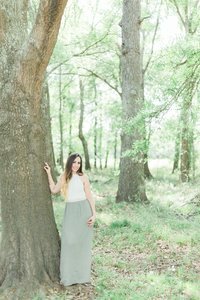 xoxo, sam Blissful Road Photography is a natural light photographer based in Houston, Texas servicing but not limited to Cypress, Tomball, Spring, The Woodlands and Katy who specializes in Maternity, Baby and Family Portraits. And just like that a year has passed.